One of the oldest signs of protection and luck, this outstretched hand is at once inviting in good fortune and pushing negativity away. 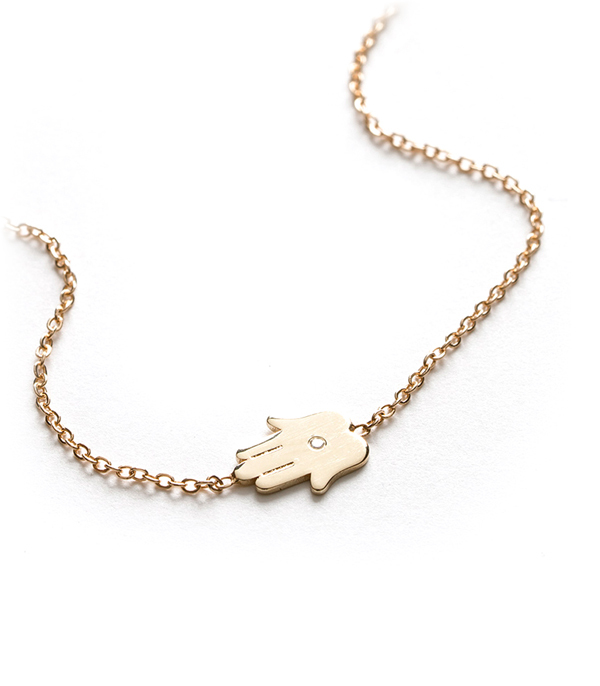 This minimal gold hamsa charm necklace adds a little mystic love into your day to day, and would also make a lovely way to say “good luck” to someone special in your life. 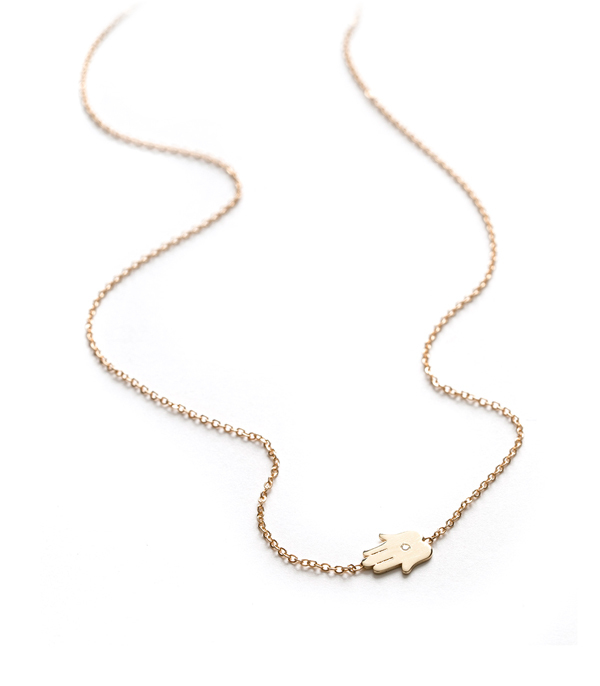 We think this charming necklace makes a whimsical everyday piece that is easy to pair with your other favorite Sofia Kaman talisman necklaces (may we suggest the tiny heart) and adds a bit of sparkle to your daily coffee run. Categories: Charming, Necklaces, Under 500.